Pets are wonderful, and like humans, have many quirks. As a pet owner, you probably have learned different ways of doing things to make your fur babies less anxious. Whether that’s putting them outside when you need to vacuum, or you leave the TV on so they don’t feel lonely when you’re running errands, you would do anything to make sure your baby is living its best life! Something I’ve found myself doing is filling gallons of water. That way when I plan to give my dog a bath, my dog is prepared. He hates running water, I think it’s the sound of it, so this is what I do in order to give my little guy the best bath time experience. You don’t mind making sacrifices if it means making sure your pet has everything that they need. You’ll find yourself eating cheap processed meals a few nights a week just to make sure you can buy the gourmet organic food for your pet. During a recent snowstorm, I broke the zipper on my coat. I found myself crossing my arms to keep myself warm as I went to a department store to buy my little dog a coat (may or may not have gotten him a little hat) since he had to go outside. My coat was good enough as long as my dog didn’t have to deal with the wind chill when he needed to be outside. Whether you go 45 minutes out of your way to get your pet’s preferred food or you find yourself shopping for them more than you shop for yourself, you probably enjoy spoiling your pet. I recently looked into an app because a girl I work with told me one of the incentives was a free package from “bark box.” I also wanted to make a tie blanket, and found my dog a throw with dog-themed images… Guess who I ended up making it for? Whether they’re your phone background, they’re all over your Instagram and Snapchat story, one way or another people know you have the cutest little baby. Anyone who has me on any form of social media has seen my dog. I just feel obligated to share that much cuteness with the rest of the world. Many people even have Instagram pages set up for their pet to show of its own amazing life. As your child, you don’t feel comfortable letting them spend the holidays alone, so you bring them to family gatherings so they can see their grandparents and other extended family members. This is especially true when neither you or your siblings have kids yet, I know my mom expects me to bring my little man to visit when I visit. You baby-talk them up like they can translate your words as if the more “lovey-dovey” your voice is, the more they will feel your love in the high frequencies of your voice. I know I find myself saying things like “hmm?” After I’ve asked my dog a question. It’s like I think persistence will push him to utter a response. You find yourself abbreviating their names for no particular reason except for you’re looking at how cute they are again. If you’re anything like my boyfriend and I, you probably modify your pet’s name to fit lyrics or to imitate names of famous artists. Our dog’s name is Bowser so some of our nicknames include: Bow, Bow Man, and Lil’ Bow Wow. At the end of a long day, there is nothing better than opening your door and seeing your pet unable to keep still because they’re so excited to see you. I work in retail and sometimes seeing my dog at the end of the day is the only thing that pushes me through my shift. 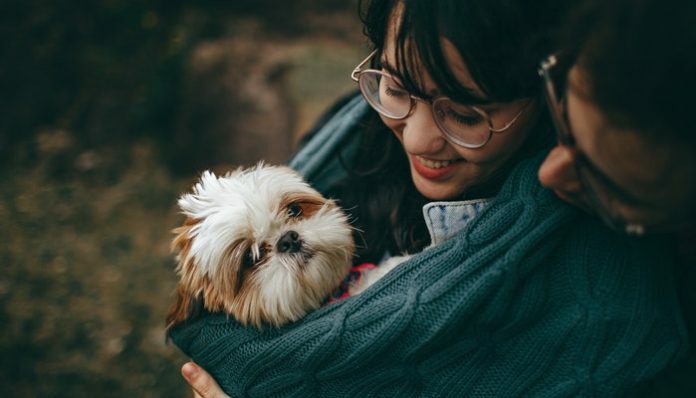 Though people might find it a bit far “fetch”ed (pun intended) there is no doubt that the love millennials have for their animals might be a little extra. However, in a world where there is too much room for negativity, loving your pet “too much” is only going to make the world a better place.